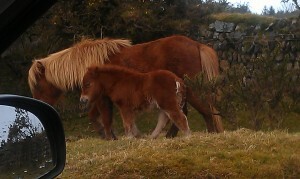 Seen the first foal of the year at Delphi Bridge on Bodmin Moor this morning – 14th April. Tiny and beautiful. Darrynane Holiday Cottages are located on the outskirts of the moorland village of St Breward with it’s well stocked village stores/Post office and Newsagent and local pub, The Old Inn in the heart of Poldark Country. St Breward Stores, Post Office and Newsagent is located by the pub and run by Darren. It is open from 7.30.am – 7.30pm Monday – Saturday and 9.am – 5pm on Sunday. It is well stocked with everything you may need for your self catering holiday. It has a daily delivery of bread, cakes and pasties from a local bakery. You can pre-order groceries and have them delivered to the cottage for your arrival. If you wish to have something special on your holiday, Darren will be happy to help source this for you. The Post office is open when the shop is open and you withdraw cash if required. The Old Inn, our local pub, has an excellent reputation amongst locals and visitors alike for food with a varied and extensive menu and a good range of local Cornish and national beers. There are also excellent pubs and eating places in Blisland, St Tudy, St Maybn, St Kew Highway and St Kew itself a short drive away. 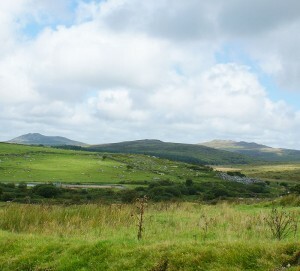 The immediate locality offers a host of different levels of walking. 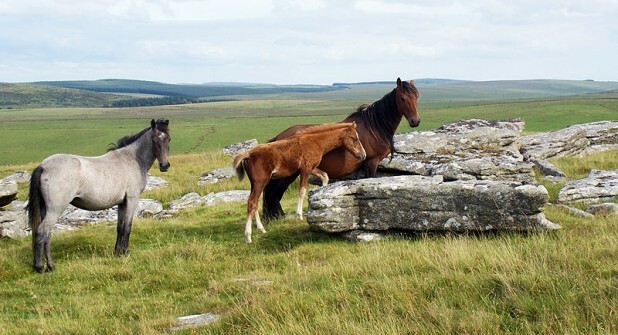 These range from level walks on the Camel Trail and parts of Bodmin Moor. A few we like are Jubilee Rock, Alex Tor and King Arthurs’ Halls. Coombe and Mine Hill offer undulating wooded valley experiences. For the adventurous, who prefer a more challenging hikes, routes across to Rough Tor and Brown Willy, the highest peaks in Cornwall, are a must. 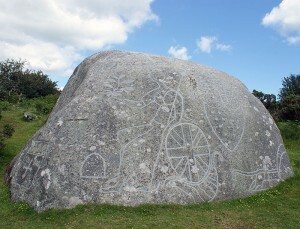 Cycling is also a great way to see this lovely area with SUSTRANS Route Number 3 passing through Bodmin moor. The Camel Trail begins nearby at Wenford Bridge, and runs 17.5 miles to Padstow, passing through Bodmin and Wadebridge on the way. Pony trekking is available locally for experienced or novice riders. 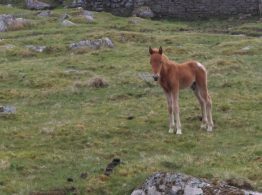 Pub treks across the moor or just a quiet ride to take in the views can all be arranged through the moorland equestrian riding stables. For those who prefer to relax and chill the area around Delphi Bridge on the De Lank rivers offers a picnic and paddling haven for all ages. Darrynane Holiday Cottages are set in an excellent North Cornwall location with the good local road network making the North & South Coast beaches easily accessible. Polzeath, the surf capital of the area, offers an all day experience for surfing, body boarding, rock pooling or just chilling in the summer sun! Around the corner is Daymer Bay, situated at the end of the River Camel estuary as it meanders towards the Atlantic Ocean. It provides a more sedate bathing option, as the waters gently lap at your ankles. Watch as the sea retreats leaving miles of sandy beaches. Along the coastline between the two beaches, accessed from the cliff top, are many sandy coves surrounded by mussel encrusted rock pools brimming with various sealife all waiting to be explored. 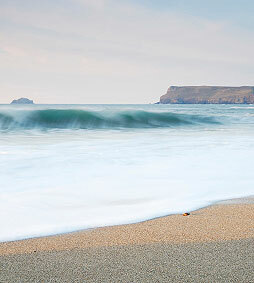 Other major beaches nearby include Tintagel’s Trebarwith Strand and Bude’s Widemouth Bay. South Coast beaches include: East Looe, Polkerris, Gorran Haven, Par Sands and Porthpean. 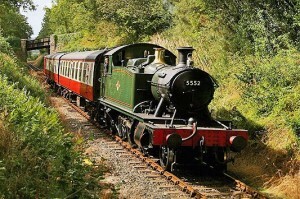 Other destinations to consider during your stay, Bodmin Town with its Steam Railway, Jail and court room experience at the local tourist information centre, depicting an 19th Century murder trial. Wadebridge for shopping. Ladies and Gents clothing, shoes, antiques, wine, furniture all available here and enjoy a cup of tea or coffee afterwards in one of its many cafes and tea rooms. Bude is also a good day out as you walk along the recently refurbished canal or enjoy the natural swimming pool. If the weather’s inclement experience the splash swimming pool with wave machine and slides. If visiting gardens and ancients Houses are more your thing the National Trust’s Lanhydrock house or Pencarrow House, privately owned by the Molesworth-St Aubyn family are both a short drive away and the ever popular Eden Project with its breathtaking innovative biomes are all worth a day trip.